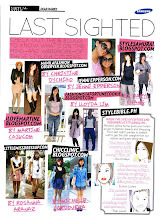 manila fashion observer: Here's to 2011 Blog Giveaway! Here's to 2011 Blog Giveaway! Okidoki dearies, in the spirit of the holiday season, here's a little something something for all my readers based in the Philippines! As with online flash sale sites, this giveaway is only on until December 31! 1 J.Crew reusable canvas tote - got this at Woodbury Common while on a personal buying spree, heehee. 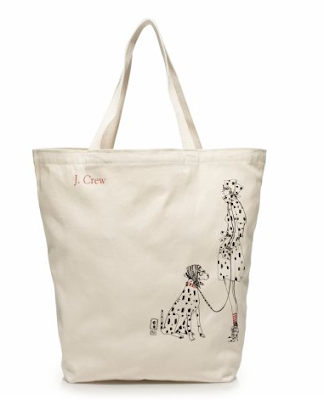 Got one for myself, and another one for one lucky reader =) We're going to be J.Crew canvas bag twins! 1 Marc Jacobs leopard print keychain - something I got at Bookmarc on Bleecker Street, a week or so after it opened, while doing research for a story I wrote for The Radar. 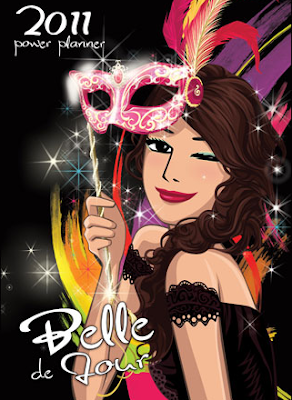 1 Belle de Jour 2011 Power Planner (for her) - because we all need to start the year right by being organized! 1 Navi Life Navigator 2011 Planner (for him) - because your man/brother/guy friend/cousin or whoever you want to give this to, needs a planner in his life too! A set of 2011 Belle de Jour and Navi Planners! 2. What do you like best about my blog? 3. What would you like to read more of here? Don't forget to leave an email address! I will announce the winners on December 31, 2010. 1.My favorite labels are the ff. Blouses and shirts : I am not brand conscious when it comes to blouses and shirts as long as it will look good and I will feel comfortable wearing it. 2. What do you like best about my blog? I love the drooling fashion finds, great pictures and giveaways! 3. What would you like to read more of here? More giveaways,please! I would also like to read in your blog practical parenting tips specially in dressing up our children since I am not really inclined in fashion but I would love my daughter to wear fashionable clothes ..
1. Krystal Pearl Braga, 23, my favorite labels includes: Forever21, Zara, Topshop, Glitterari, The Ramp, SM Department, and Divisoria. 2. I simply love your blog because you are versatile and your blog posts is attractive and not boring because they are mixed, from fashion, to the new trends and everything that's under the sun. extra entries: followed you in twitter and tweeted about this giveaway. I like stuff from Forever 21. Their blouses and tees are very nice and comfy. I love flats too and got 2 pairs from them and lovin it a lot. What I like about your blog is when you feature Berry..because she's cute little fashionista..lol. and your post about shoes and bags. Thanks!Merry Christmas and Happy New Year to you and your family..
what i like about your blog is that it's a mixture of mommy stories and fashion. like you, i'm very into my daughter who is 3 yrs old. i love to dress her up too. i'm not really a fashionista(like you and berry)but i like reading your blog to know what's in and what's out. right now i'm loving longchamp bags. i shop occasionally at zara, mango, gap. but tiangges are favorites too. by the way im a dentist. mostly i wear scrubsuits for work so i fridays i dress up a little bit more. 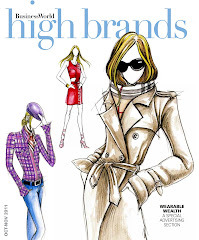 I like it that you feature high end brands yet mix it up with affordable alternatives; your choice of clothes are simple, functional yet classy and elegant. I especially like that you share Berry with us. I have a baby girl Berry`s age and I get amused at just how fast our little kikay darlings have grown. I would like to have more of Berry and your outfit posts in 2011. Happy New Year MFO! What do you like best about my blog? I find out about new brands/shops locally. And I share your love of Jeffrey Campbell shoes! What would you like to read more of here? More features on shoes! And bags! 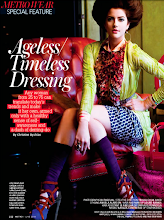 Sherry (shha19@yahoo.com)= 32F, LOVE to shop in Mango, Zara, and Forever 21. LIKE your blog coz it's family, fashion, food, and lifestyle updates all in one. 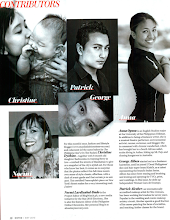 Like to read more about new Filipino designers making it in the international fashion scene. Can I join again?! Hahaha! - I usually shop at The Ramp in G4/Shang mall for my work clothes. I like the classic yet quirky dresses they have. And the items are made of good materials as well! For non-work clothes, I usually shop at Zara, Mango, Promod and Warehouse. 2. I love that you blog about your life as a mom, your interests and that you are not confined to blogging about just the pricey designer stuff. 3. 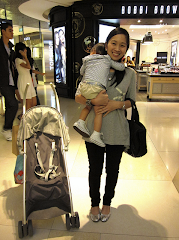 I can't wait for you to start blogging about Singapore fashion and great food finds! Btw, we already have Happy Lemon at Promenade, Greenhills!!!! Happy new year to you and your family Christine! 1. giselleacop@gmail.com, 29y/o, Zara, Mango, Topshop, and Massimo! 3. i always wondered how you got updates on PH sales when you were based in NY, more updates on new retailers here and also in Singapore! Hey Tin, I'm Marissa and 32 yrs old. Gosh I can't believe I'm posting my real age. Anyway, I like the usual suspects Mango and Zara. I also like Topshop, U2 and the tiangges. Definitely more outfit of the day posts. You've got style that says more about your personality than just the current trends. Love the way you mix things up. 2. I love, love, love reading about Berry! And I like looking at her outfits! 1. Katrina, 37 years old, katcho@yahoo.com. My favorite labels are J. crew, Zara & BCBG... Here in Manila, i have a recent shopping discovery (although they sell only a few clothes). I regularly go to HMR along Pioneer st. It's a surlus / outlet store. They sell goods from Costco & other US stores. It's similar to Ross or Marshalls. 2. 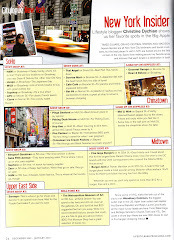 I love reading about your outfits, new finds, shopping destinations & cutie Berry.... & i so love NY (your previous home). I'm Diane Rosacia, 27. My email address is diane.rosacia@gmail.com. My favorite shops are F21, H&M, R.A.F., Bayo, The Ramp and SM Department Store. I enjoy reading your blog because of your outfit posts and updates on the latest trends and fashion finds. More features on shoes, please! 1. Nina Beatrice Lacson, 21, e-ad: ninalacson@gmail.com. Zara TRF for trendy streetstyle ragged clothes; Gap for cheap yet chic bags; Levis for jeans; redattic.multiply.com for vintage clothes finds; Rockwell Tent and World Trade Center (American Women's, in particular) bazaars; Aranaz for chic local bags --from clutches to big bags and now her accessories (or her sister's); RIIR bags as well for that streetstyle native-eco vibe feel; The Ramp for putting up everything local in a one-stop-shop store; Hongkong boutiques, H&M thru e-bay and muliply stores --I have yet to visit Hongkong's flagship store or the soon-to-open H&M Singapore flagship store at that, and of course, thrift shops in Cubao and Anonas area. 2. What I like best about your blog is that you update us, readers, of what's coming out in stores, discounts in the metro and all sorts of good finds, really. Like I couldn't forget that it is here I knew that Jeffrey Campbell will be available at Fashion Forum and that RIIR bags are going on sale --some recent updates that I have in mind. Your blog just keeps us updated which I really love. 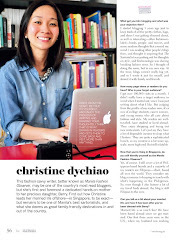 It just shows that you impart to your readers your finds and really research about stuff. 3. Read more?? About you. Posting outfit posts and seeing you carry/wear the clothes, shoes, bags, accessories, etc. Following you on twitter via ninabeaaa and tweeted about your giveaway already. Francesca, cheska_alvarez@yahoo.com, 23 years old. My favorite labels and shops include Topshop (for almost everything! ), Zara (for basics), and Forever 21 (for accessories). If I may also add Beauty Bar (and Sephora when overseas) because I like make-up, a lot. Heeh. Friends and officemates call me Diva, Hazel to the rest. I’m 29 years old, a certified mall rat who frequents Tango, Mental, Maldita, People are People and Shoe Salon for artsy and comfy outfits. I also get extremely pleased to score unique cheap finds at tiangges and department stores. Aside from the giveaways, I like the features on great fashion finds that end in my wishlist. Also, I find the fashionably cute Berry really adorable. I hope to style up my nieces that way too. 1. Enter me please! I'm Bec, 27yrs old and my fave shops are: Zara, Mango and TopShop. I shop frequently at Shangri La. 2. I love how you update us about fashion! 3. I would love to see more posts about styling and dressing up. 2. 2010 was the year when I discovered your blog. It was some sort of awakening for someone like me. I was never updated into the fashion scene until I discovered your blog. I like outfit posts also. And lots of shop updates. 3. I love Berry. I would love to see more of her. I also love to hear the latest news on the fashion industry in other countries. i hope to read more about your singapore adventure and about berry. Favorite labels: Marks and Spencer, Beauty Bar, Topshop and Mango. Favorite places to shop: Zara and ukay-ukay. Why do you like best about my blog? : I like everything about your blog! It's informative, inspiring in so many ways, lovable and it's the first fashion blog that I visit every after school! 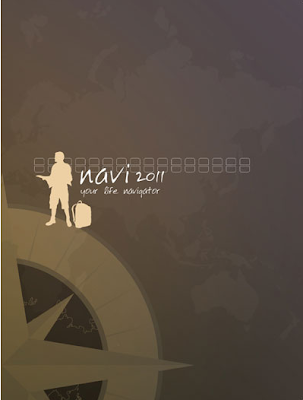 I've been a loyal reader of your blog since I was 15 years old :) God bless you and your loved ones and happy new year! What would you like to read more of here? Anything about fashion and style. For Basics and Accessories, I go for Forever 21 and/or SM Department store. For the "Tim Burton" Lovechild in me, Bleach Catastrophe, The I Love You Store, Paradigm Shift and some random vintage stores at Cubao X.
I love your blog because of the variety of updates ranging from high end products to the low end. 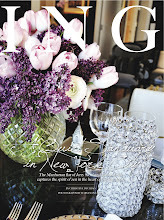 You update us with sales, fashion news both international and local. Plus, you have a very approachable vibe, without all the pretention and name dropping that most fashion bloggers do these days. Hopefully, I would want to read more reviews on beauty and cosmetics. So far the ones you did by far had been very informative. More power to you and to your blog. 3. Hmm.. I already love everything you put in your blog (clothes and baby things), maybe more of house stuff like nice storage things to keep everything organized? Or other pretty house related ideas? 3. What would you like to read more of here? More of your outfit posts...and of Berry's too! I'm quite an easy shopper, I can find everything I want in Trinoma, esp. Landmark. I like shopping for shoes through Multiply. This year, I discovered, and fell in love, with Uniqlo and Forever 21. 2. I especially love your posts with Berry. Reminds me of Mini Shopaholic by Sophie Kinsella heehee! 3. I'd like to read more fashion "breaking news" and Berry posts! Thank you for hosting this giveaway! More power to MFO! I'm Maria Isabella, 28. I love brands such as H&M, Forever21, Mango, Zara. I frequent ukay-ukay shops for great finds. 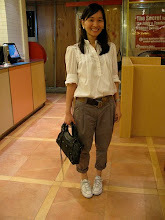 I have been reading your blog and I love anything about fashion entries specially your outfit shots and of Berry also. Thank you! 1. Here are my favorite labels: Bench, People Are People, Forever 21, unique finds at flea markets, The Ramp and The Landmark. For shoes, I also love Ichigo shoes (from The Ramp. 2. What I loved about your blog is that you feature really great clothes that are affordable and attainable to everyone. Because there are a lot of fashion blogs that features really great clothes but were too expensive for us. Your blog features clothes that we can also buy and afford. 3. Loved to see more styling and fashion posts! Where to shop: Rockwell, Greenbelt, Vivo City and Orchard Rd. Yey! Good luck and happy new year! 2. the outfit shots! great finds! The leopard Marc Jacobs is stunning.